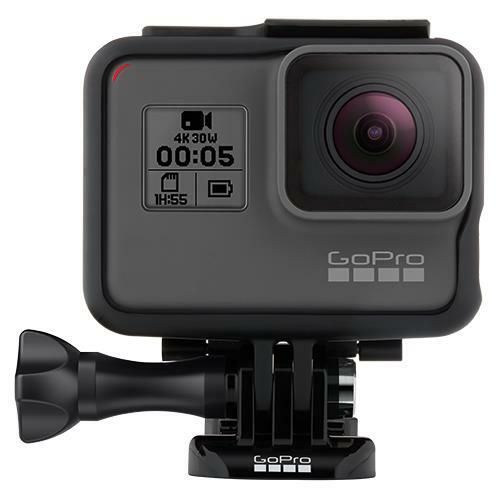 The perfect companion for any trip or action activity, the GoPro HERO5 Black is a highly compact and robust digital camera designed to capture life’s adventures. The GoPro HERO5 Black is easy to use and packed full of advanced features including 4K-video and hands-free voice control. 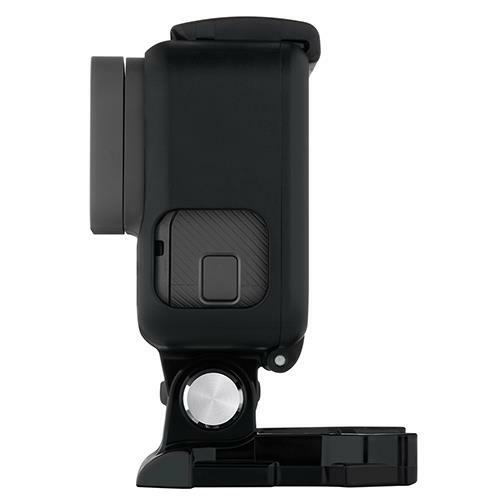 Its one-button simplicity makes it easy for anyone to operate, whether that’s shooting ultra high definition videos or capturing up to 12-megapixel photos and time-lapse sequences. Designed to go anywhere you go, the GoPro HERO5 has built-in GPS location data recording for keeping track of where your pictures and videos are captured. Additionally, its tough and waterproof construction will enable creators to shoot their adventures underwater in depths as low as 33ft (10m) without housing. The touch interface of the GoPro HERO5’s 2-inch display makes it easy for people to adjust settings and get the most out of their GoPro. While stereo audio recording delivers superior audio capturing compared with previous GoPro models. Whether changing frame rates or the camera’s field of view, beginners and professionals alike will find it straightforward to choose their options quickly and easily. It’s also possible to use the touchscreen to make quick trim edits to their videos. 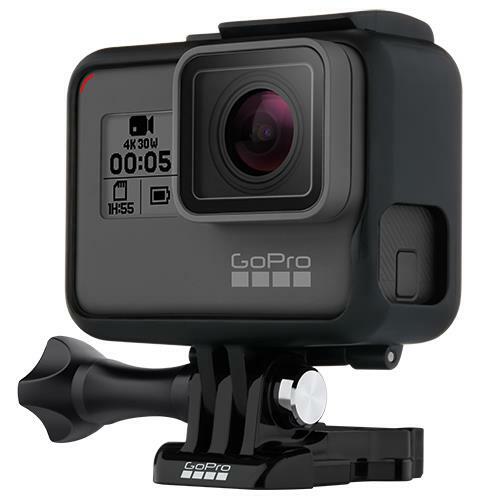 The GoPro HERO5 can record up to 120fps 1080p video for producing cinematic slow-motion footage and uses intelligent image stabilisation, which is effective at keeping video footage steady. The benefit of the GoPro HERO5’s image stabilisation is that it helps creators to deliver immersive point of view footage that can hold a viewer’s attention for longer, whether you’re mountain biking, running or sky diving for example. Using Wi-Fi and Bluetooth, the GoPro HERO5 Black can be paired to a smartphone or tablet via GoPro apps for quick sharing and editing of captured images and footage. 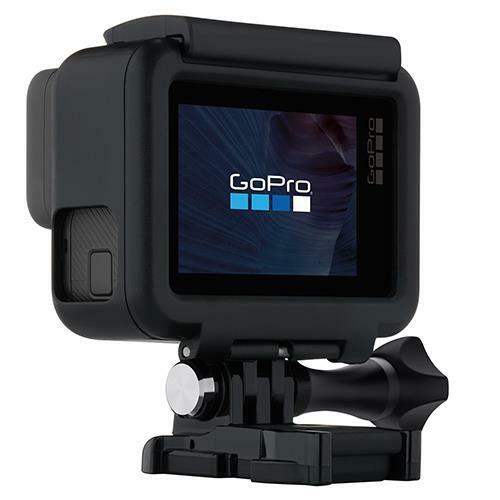 A host of official and third party accessories are available for GoPro cameras, which enable creators to mount their cameras in a multitude of ways for an exponential number of creative opportunities.